The Stewart Memorial Fountain commemorates Lord Provost Robert Stewart of Murdostoun (1811-66), and his greatest contribution to the city and its health, the Loch Katrine Water Scheme, which provided Glasgow with a constant source of clean drinking water from 1859. The fountain was inaugurated on Wednesday, 14 August 1872. The proposal for the fountain was made in July 1868, and was the subject of two design competitions held in 1870 and 1871, that drew about 70 entries from architects in Britain, France and Belgium. The winner of both was the Glasgow architect James Sellars , of Campbell Douglas & Sellars. The fountain was designed in the 'Scotch Gothic Style', and is 40ft high and 60ft wide. The construction of the fountain was also a local affair, with John Robertson as its builder and John Mossman as the modeller of its sculpture, assisted by James Young , who carved the stonework. Its granite work was executed by J & G Mossman . John Mossman's bronze apex figure of Ellen Douglas, the Lady of the Lake, however, disappointed Thomas Gildard (who documented much of Mossman's life and work) in its inferiority to the original full-size model that he'd seen in the sculptor's studio, and especially the dullness of its gilding. The figure is nonetheless a fine work, depicting Ellen straining to hear the call of her lover, James Fitz-James. The model of the statue was exhibited at the RGIFA in 1872 as The Lady of the Lake (cat. 697). The Mossman Job Book for 1870-74, records that their tenders for the sculpture (�401) and granite work (�450) were submitted on the 4th and 12th August 1871, and accepted by the Commissioners of the Glasgow Corporation Water Works, on 20 September -'subject in all respects to [the] terms of [the] schedule of measurements prepared by Mr Herbertson...'. Also in bronze, and cast by Henry Prince & Co., of London, are the four segmental bronze panels around the base of the fountain. These include a fine bust portrait of Stewart, the dedicatory panel, and two allegorical reliefs based on Sir Walter Scott's narrative poem The Lady of the Lake, of 1811. These represent Glasgow receiving (and benefiting from) the purifying waters of Loch Katrine, and Ellen Douglas being serenaded by the minstrel Allan-Bane. Young's carver work was praised at the time of the inauguration as 'alike spiritedly modelled, and excellently executed'. His work was predominantly heraldic and mythical in subject, with the arms of Scotland, Glasgow and Robert Stewart included amidst a bestiary of animals and aquatic life. Also included are twelve ceramic roundels of the Signs of the Zodiac. The fish carved between the roundels include a pike and a carp. Below them, around the base of the central column, are friezes of bullrushes from which emerge a hunting dog chasing a duck, and a moorhen, frog and heron. The shields flanking the bronze panels feature the arms of the city and politicians (from the left of the Stewart portrait, and running anti-clockwise): Robert Stewart and Glasgow; Provost Andrew Galbraith and Bailie James Hannan; Robert Stewart and Glasgow (repeated); Lord Provost Andrew Orr and Bailie James Gourlay. The Lion Rampant, representing Scotland, is also prominently displayed on shields around the base of the fountain and on its upper level, where it is joined by unicorns as supporters for shields bearing the arms of Glasgow and Scotland. The water itself flows from the mouths of grotesque beasts on the buttresses and the central column, and the vases of four half-length water carriers in the foliage of the column's capital. Just above the capital are the names of the four principal lochs of the Trossachs: Katrine, Venachar, Drunkie and Achray. Until 1939, the granite drinking fountains on the fountain's outer basin were originally surmounted by seated, iron or bronze Cherubs. These can be seen in a number of published photographs taken prior to their removal due to vandalism. Possibly modelled by Mossman and cast by George Smith & Co.'s Sun Foundry, the cherubs appeared on many of the foundry's other drinking fountains erected throughout Britain (a surviving example is the Alexandra Park Drinking Fountain of c. 1900, which has an identical cherub. A regular target for vandals and would-be-mountaineers, the fountain was restored to full working order in 1988 by the Bridgegate Trust (now Glasgow Building Preservation Trust) and the City Council. However, the fountain is once again a vandalized wreck, its birds removed and its grotesque bestiary damaged and its water turned off. 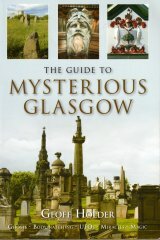 In June 2009, a further restoration was begun by Glasgow City Council's Land and Environmental Services and their contractor, Hunter & Clark. This will include the cleaning of the fountain's stonework and bronzes, and the replacement of its defective plumbing with an environmentally friendly water recycling system. The restoration will also include replacements for the lost birds and cherubs. The work is scheduled for completion in August 2009. The team at glasgowsculpture.com are grateful to Gordon Murray of Fountains Direct Ltd., for the use of his 'cherry-picker' views of the statue of Ellen Douglas.